Arvind Shyamsundar's technical blog | Arvind Shyamsundar is a Principal Program Manager with the Microsoft Azure / Data Customer Advisory Team (AzureCAT / DataCAT / SQLCAT) These are my own opinions and not those of Microsoft. I blog about Data and Technology (mostly Microsoft / Azure) – information that you will not find anywhere else! 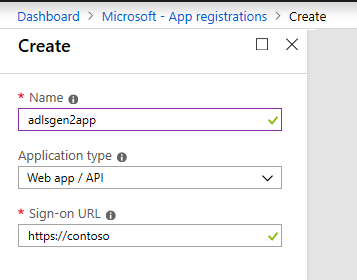 To do this, we first need to create an application registration in Azure Active Directory (AAD). This is well documented in many places, but for reference, here is what I did. From the next screenshot below, note the Application’s ID: 0eb2e28a-0e97-41cc-b765-4c1ec255a0bf. This is also sometimes referred to as the “Client ID”. We are going to ignore the Object ID of the application, because as you will see we will later need the Object ID of the Service Principal for that application within our AAD tenant. More on that soon. Note down that key in a safe place so that we can later store in in AKV and then eventually reference that AKV-backed secret from Databricks. 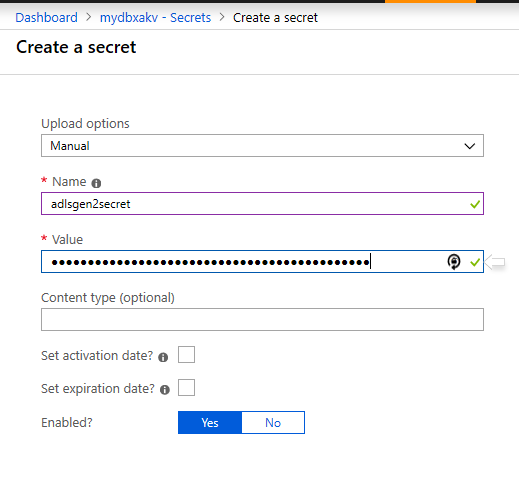 In order to reference the above secret stored in Azure Key Vault (AKV), from within Azure Databricks, we must first add the secret manually to AKV and then associate the AKV itself with the Databricks workspace. The instructions to do this are well documented at the official page. For reference, here is what I did. Before we can grant permissions at ADLS Gen 2 to the Service Principal, we need to identify its Object ID (OID). To do this, I used Azure CLI to run the sample command below. The GUID passed to –id is the Application ID which we noted a few steps ago. The OID for the Service Principal has to be used to define permissions in the ADLS Gen 2 ACLs. I repeat: do not use the Object ID from the Application, you must use the Object ID from the Service Principal in order to set ACLs / permissions at ADLS Gen 2 level. 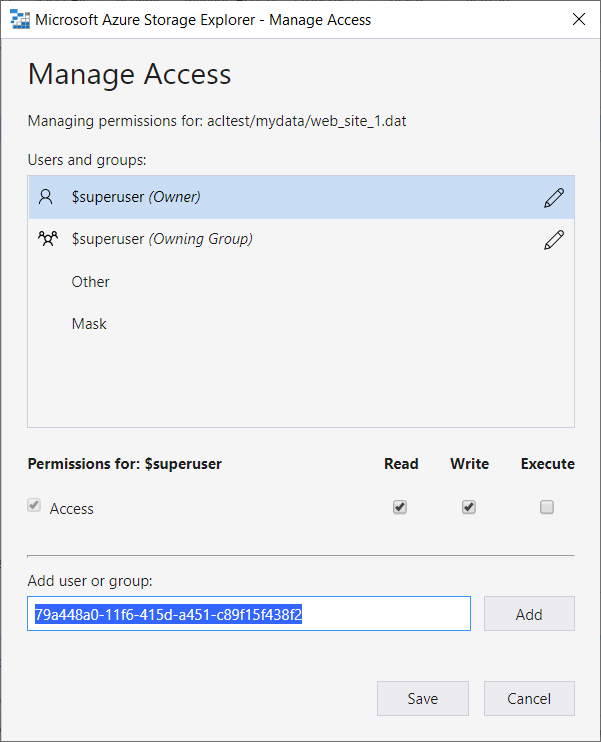 Sidebar: if we view the default permissions on this file you will see that only $superuser has access. $superuser represents the access to the ADLS Gen 2 file system via. storage key, and is only seen when these containers / file systems were created using Storage Key authentication. 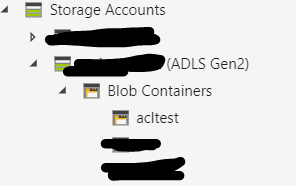 To view / manage ACLs, you right click on the container / folder / file in Azure Storage explorer, and then use the “Manage Access” menu. Once you are in Manage Access dialog, as shown in the screenshot below, I have copied (but not yet added) the OID for the service principal that we obtained previously. Again – I cannot emphasize this enough – please make sure you use the Object ID for the Service Principal and not the Object ID for the app registration. Then I clicked Save. 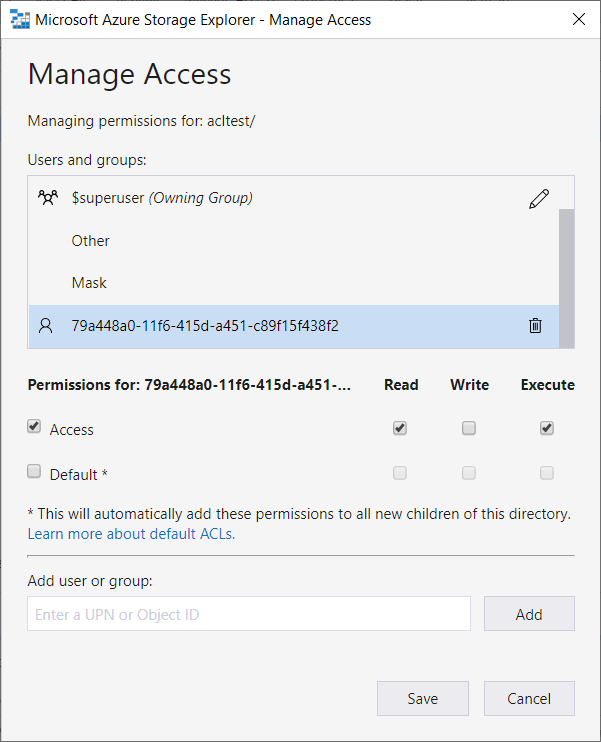 You can also use “Default permissions” if you set ACLs on top-level folders, but do remember that those default permissions only apply to newly created children. In other words, the whole chain: all the folders in the path leading up to and including the (existing) file being accessed, must have permissions granted for the Service Principal. Firstly, review the requirements from the official docs. We do recommend using Databricks runtime 5.2 or above. Note that the <<AAD tenant id>> placeholder above has also got to be substituted with the actual GUID for the AAD tenant. You can get that from the Azure Portal blade for Azure Active Directory. This method of suffixing the account name was enabled by this Hadoop fix and also referenced here. But, what if you missed a step? StatusDescription=This request is not authorized to perform this operation using this permission. If you happen to run into the above errors, double-check all your steps. Most likely you missed a folder or root-level permission (assuming you gave the permission to the file correctly). 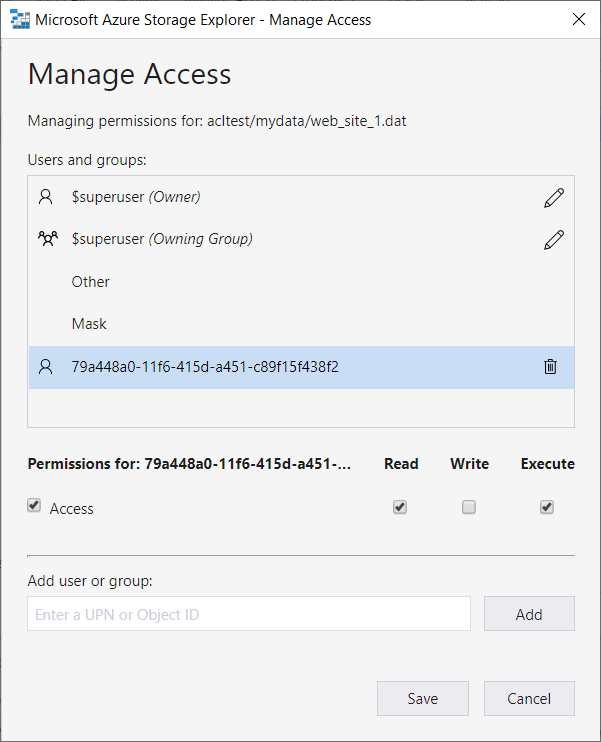 The other reason that I have seen is because the permissions using Azure Storage Explorer were set using the Object ID of the application, and not the Object ID of the service principal. This is clearly documented here. Until recently, this error would also occur even if the ACLs were granted perfectly, due to an issue with the ABFS driver. Due to that issue, customers had to add the Service Principal to the storage account contributor IAM permission on the ADLS Gen 2 account. Thankfully, this issue was fixed in HADOOP-15969 and the fix is now included in the Databricks runtime 5.x. 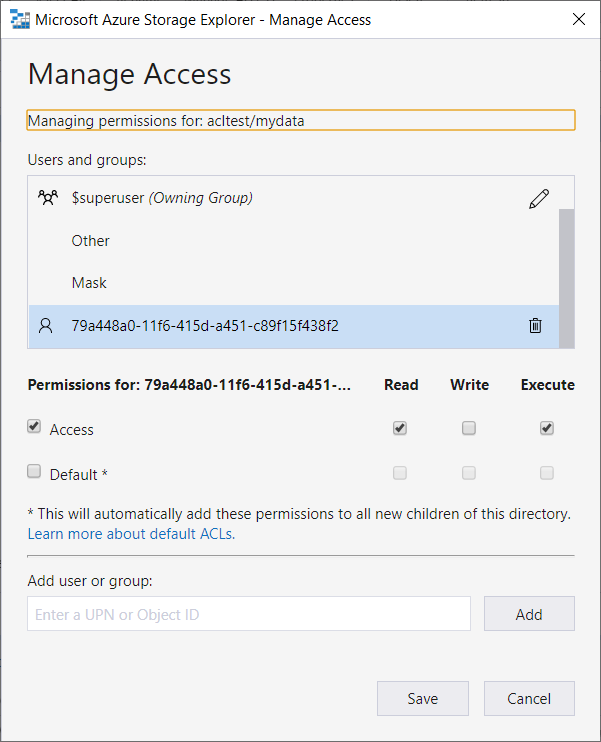 You no longer need to grant the Service Principal any IAM permissions on the ADLS Gen 2 account – if you get the ACLs right! Tracking lineage of data as it is manipulated within Apache Spark is a common ask from customers. As of date, there are two options, the first of which is the Hortonworks Spark Atlas Connector, which persists lineage information to Apache Atlas. However, some customers who use Azure Databricks do not necessarily need or use the “full” functionality of Atlas, and instead want a more purpose-built solution. This is where the second option, Spline, comes in. Spline can persist lineage information to Apache Atlas or to a MongoDB database. 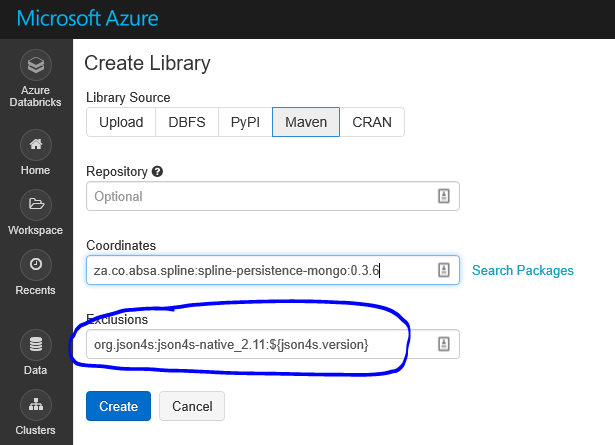 Now, given that Azure Cosmos DB exposes a MongoDB API, it presents an attractive PaaS option to serve as the persistence layer for Spline. 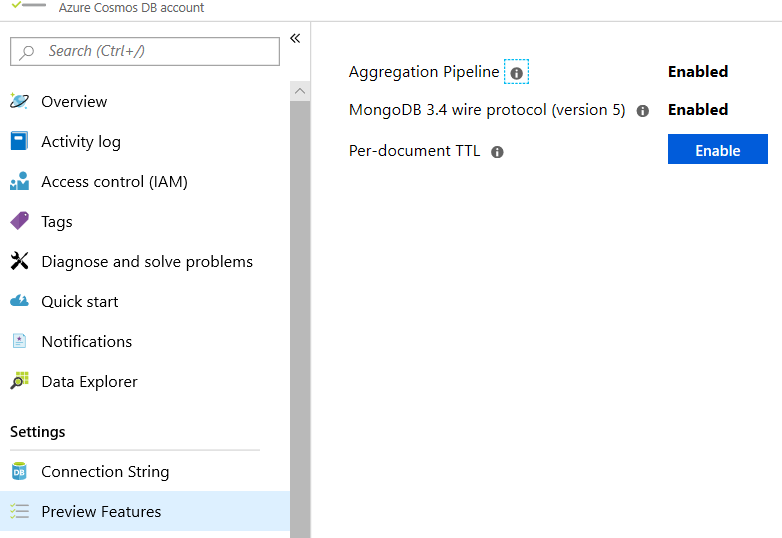 This blog post is the result of my attempts to use Spline from within Azure Databricks, persisting the lineage information to Azure Cosmos DB using the MongoDB API. Some open “to-do” items are at the end of this blog post. za.co.absa.spline:spline-core-spark-adapter to match the Spark version. If you still do need the full list with transitive dependencies included, it is now included as an Appendix at the very end of this post. This was pretty easy, all I needed to do was create a new Azure Cosmos DB account with the MongoDB API enabled. I did need to enable the “pipeline aggregation” preview feature without which the Spline UI does not work. For good measure I also enabled the 3.4 wire protocol but in hindsight it is not required, as Spline only uses the legacy MongoDB driver which is a much older version of the wire protocol. This is of course a simple example; you can try more real-world examples on your own. Spline is under active development and is open-source; the authors are very active and responsive to queries and suggestions. I encourage you to try this out and judge for yourselves. [Update 1 Apr 2019] The issue with Search has been understood and there is a reasonable way out. Again, my colleague Alexandre has been instrumental in finding the mitigation. Unfortunately, the Search textbox does not seem to work correctly for me. I have opened an issue with the Spline team and hopefully we can track down why this is breaking. 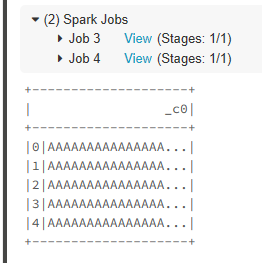 I have not tested this with any major Spark jobs. If you plan to use this for any kind of serious usage, you should thoroughly test it. Please remember that this is an third-party open-source project, provided on an “as-is” basis. 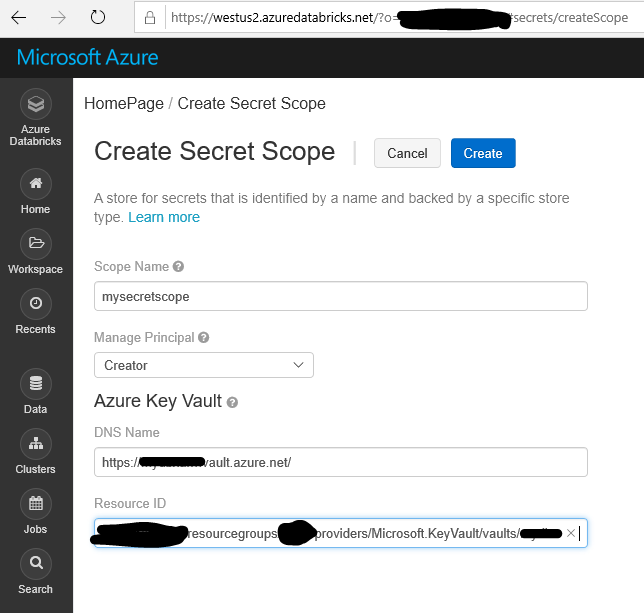 [Update 26 March 2019]: I have verified that the above setup works correctly with VNET Service Endpoints to Azure Cosmos DB, and with corresponding firewall rules set on the Cosmos DB side to only allow traffic from the said VNET where the Databricks workspace is deployed. 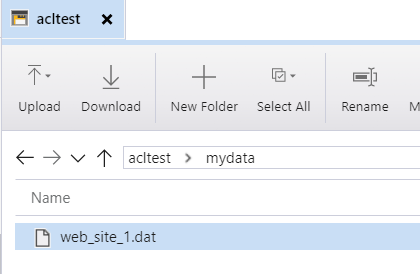 My Azure Databricks workspace is deployed into an existing VNET. I still need to test service endpoints and firewall rules on the Cosmos DB side to ensure that traffic to the Azure Cosmos DB is restricted to only that from the VNET. Last but not the least, as I already mentioned, if the Spline team releases an uber JAR that would reduce the overhead of managing and installing all the dependencies, that would make life a bit easier on the Azure Databricks front. I hope this was useful; do try it out and leave me any questions / feedback / suggestions you have! I had previously shared a sneak preview of our upcoming session on Graph data processing in SQL Server. The talk is at the PASS Summit 2017. In that post, I had promised to share more details closer to the session. And here it is! In other cases, an ETL process could use fuzzy lookups etc. In this walkthrough we will use ML Services in SQL Server 2017 to invoke a Python script to infer similar edges in a graph. md "C:\Program Files\Microsoft SQL Server\MSSQL14.SQL20171000\PYTHON_SERVICES\Lib\nltk_data"
This table is implicitly going to hold the “from” and “to” nodes in the graph and additionally it holds a similarity measure value for that relationship. Then, Gensim is used to compute “Matrix Similarity” which is basically a matrix of documents and how similar they are to each other. In the above step, one interesting thing to note is that in SQL, graphs are directed. So we have to exclude situations where Session1 ‘is similar to’ Session2 AND Session2 ‘is similar to’ Session1. Once this list of unique edges is built up, it is written back into SQL as edges in the SimilarSessions graph (edge) table by using a function called rxDataStep. A small but important nuance here with rxDataStep and specifically SQL Graph edge tables, is that you need to exactly match the $from_id and $to_id column names with the actual values (including the GUID portions) that are in the edge table. Alternatively, you can avoid using rxDataStep and insert the output of the sp_execute_external_script into a temporary table / table variable and then JOIN back to the node tables to finally insert into the graph edge table. We will look at improving this experience going forward. """Iterate over all documents, yielding a document (=list of utf8 tokens) at a time.""" sqlDS=RxSqlServerData(connection_string = "Driver=ODBC Driver 13 for SQL Server;Server=.\SQL2017;Database=PASS-Demo;trusted_connection=YES"
I’m sure you will agree, looking at the above, these are greatly correlated sessions and would be a great recommendation for anyone already viewing Denzil’s session! And that’s it! When you run the BCP command line from CMD prompt, it will create a PASS2017.xml file, which is internally in the GraphML format. That’s easily imported into Cytoscape or other such graph visualization tools. And that is how we created the fun visualization that you saw in the “sneak preview” blog post! An unexpected error has occurred: Value cannot be null. I finally figured out that there was still an entry for the “non-existent” SQL instance at the registry key HKEY_LOCAL_MACHINE\SOFTWARE\Microsoft\Microsoft SQL Server\Instance Names\SQL. There was a value (on the right hand pane when viewed in RegEdit) for that old instance. When I deleted that value for the non-existent SQL instance, I was able to run SQLBindR successfully! Please note this troubleshooting tip is intended for non-production systems and for advanced users. If you have questions or concerns, or this error is happening on a production system, I strongly recommend you contact Microsoft Support. Disclaimers Please note that this troubleshooting tip is provided as-is and neither me nor Microsoft offers any guarantees or warranties regarding the same. Using tools like RegEdit incorrectly can cause serious problems that may require you to reinstall your operating system. Use RegEdit at your own risk. This Information is provided for the purpose of illustration only and is not intended to be used in a production environment. THIS INFORMATION IS PROVIDED “AS IS” WITHOUT WARRANTY OF ANY KIND, EITHER EXPRESSED OR IMPLIED, INCLUDING BUT NOT LIMITED TO THE IMPLIED WARRANTIES OF MERCHANTABILITY AND/OR FITNESS FOR A PARTICULAR PURPOSE. At PASS Summit 2017, Shreya Verma and I will be co-presenting a session on using the newly added Graph data (nodes / edges) processing capabilities in your applications. One of the patterns we will discuss in that session is how to leverage in-database Python scripts to detect “similar” nodes and thereby ‘infer’ edges in the graph. Voila! That fixed the issue. So in the rare event that you are still using Profiler and happen to run into this even more rare error, I hope the simple step to register SQLNCLI11 will help you recover quickly!